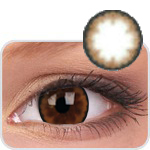 ColorVUE Gemini series brings you the Helen and Clyte with brown and gray tones. The twin Goddesses from the Greek Mythology mirror this series by bringing you lenses that are similar yet different. Helen the most beautiful woman represents the lenses that add a magical charm for dark and shining eyes. Clyte, commander of the Greek forces represents lenses that add confidence to your look with it?s dark ring. These naturally enchancing colors are now available as monthly disposable for everyday use at your work or college. 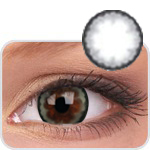 Enjoy full day comfort with ColorVUE?s patented hydrogel material.